That's what I got. Show me what you got! Great books! 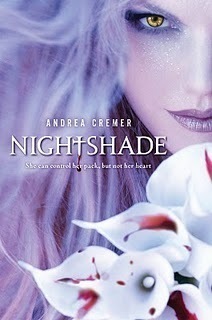 I enjoyed Nightshade but wish someone would have mentioned that it ends on a cliffhanger. Now I'm in waiting mode for the next book. My mailboxes are here and here. Happy reading! Banished cover is so pretty! Great mailbox! I went to buy Banished and my friend who goes with me a lot and monitors how many novels I'm buying read the back and then stole it from me! Hope you enjoy all your books and have a Happy Halloween! 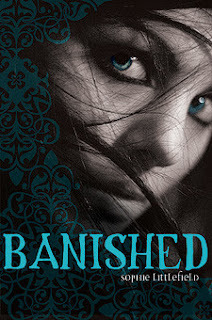 I love the look of Banished so I can't wait to see what you think :) Happy reading ! Hope you enjoy your reads this week! Love the title of your blog, btw. Hope you enjoy reading this week. Nightshade looks / sounds really good! Banished has an awesome cover. Oh banished looks good. Pretty cover. *Jealous* These all look great! My kind of reads ;) I'm finishing a fun Angie Fox series. http://blog.juliealindsey.com/ I bet you'd like it. Its fun and light para, I can't wait for the next installment!